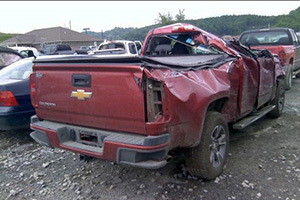 Pickup truck rollover accidents are becoming more and more common as the popularity of pickup trucks continue to rise. Truck rollovers involve many of the same occupant hazards as are found in SUV rollovers. By their very design, pickups have a high center of gravity resulting in a higher rollover rate than passenger vehicles and drivers tend to increase the rollover problem with excessive loads and overloading. Emergency braking and avoidance maneuvers often result in truck rollovers. Pickup truck accidents that involve a rollover are also more likely to cause occupant ejection resulting in severe head injuries and neck and spinal cord injuries including paralysis. Individuals who are ejected during a truck accident have a significantly lower survival rate. Another concern with truck accidents is roof crush. Roof pillars are not designed to prevent massive crushing that causes deaths, traumatic brain injuries and severed spinal cords, even for belted passengers. Because pickup trucks, SUVs and passenger vans are not classified as “passenger vehicles” they are not required to meet all of the federal motor vehicle safety standards for crash worthiness imposed on cars and station wagons. When a pickup truck rolls over, the roof pillars often collapse and crush and the roof pillar separate from the door jamb allowing extra space resulting in door latch and door latch failures. 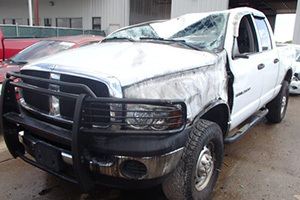 If you or a member of your family has been involved in a pickup truck rollover or other light truck rollover or a SUV rollover with severe roof crush, roof pillar collapse failure or any other serious accident or failure and you have questions about whether the vehicle or roof design may caused or contributed to the accident or injuries, then call us now. Mr. Willis is a Board Certified Personal Injury Attorney with over 30 years of product liability and rollover litigation experience. Call the Willis Law Firm at 1-800-883-9858 for a Free & Confidential Consultation or Click Here.